Weight bearing exercises are essential to building healthy bone. 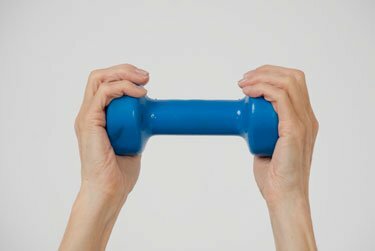 What effect does regular weight bearing exercise have on joints especially as you enter menopause or after a surgery? How do you select the weight bearing activity that will both challenge and stimulate your bones while, at the same time, be kind to your joints? What if you have a specific condition or a knee surgery that you feel limits your ability to do certain activities? I recently had a client visit me who was a very active runner. But arthroscopic knee surgery caused her to back off from her running and take on swimming and biking – activities she felt were easier on her joints. These activities are great cardiovascular exercises. The problem is she is starting menopause and her bones are entering a period in which they will lose density and strength unless she incorporates weight bearing activities into her routine. She need not return to running, but she should consider supplementing her exercise program with weight bearing exercises that stimulate her bones such as brisk walking or nordic walking. Clients who follow the MelioGuide Exercise for Better Bones program are assigned weight bearing activities based on their fracture risk assessment and current activity level. I encourage Physical Therapists who treat clients after a knee surgery to take into account the bone and skeletal health of their client. You may be hesitant to give them an activity that could overwhelm their joint. But, over time, you should have a plan to introduce weight bearing activities that are appropriate for them and stimulate bone development. MedBridge recently introduced a course on the dissection of the knee. The course was developed and delivered by Dr. Robert LaPrade, M.D., PhD – a complex knee surgeon and sports medicine specialist at the Steadman Clinic in Vail Colorado. If you want a better understanding of the knee or you treat clients who have had surgery of the knee, this is an excellent course to add to your continuing education. Today’s blog is going to cover the challenges we have when we’re looking at optimizing our weight bearing exercise program. What effect does regular weight bearing exercise have on joints especially as you enter menopause or after a surgery? I take each of these questions into account in the cardiovascular recommendations that are in Exercise for Better Bones available on the MelioGuide site. I would like to illustrate this issue by introducing a client who I had this week who came to see me. She is early post-menopausal. Two years ago she had had a bone density test, and it indicated that she was osteopenic. She wasn’t too concerned. Unfortunately, she had another bone mineral density test two and a half years later and her bone density score had gone down significantly, which is one of the reasons for her visit to me. Over the last two and a half years, she had been a runner, and she was very active in her sport that she loved to do. But she had a slight injury and she had some arthroscopic surgery. Is Swimming a Weight Bearing Exercise? She made a decision at the time that she was going to be kinder on her knees and start swimming and cycling instead. She didn’t realize the impact that this was going to have, however, on the integrity of the density and strength of her hip bones. She went from being a runner and loading down into weight bearing to being involved in non-weight bearing activities. These were good choices for her heart, good choices for her weight management, but not a great choice for her bones. Here is the problem: she is entering menopause, the time that we know you’re losing a lot of bone because of estrogen reduction, and she’s also offloading or choosing cardiovascular exercises that are not stimulating bone building in the hip especially. So the consultation with her was that her choices for going into biking and swimming were great choices in terms of knee health, but she needs to go back to supplement her walking or her running that she had been doing. So, a choice that she has, she doesn’t have to go back to running, because we know that brisk walking will have just as much benefit. She could also, if she’s having difficulty, and some of my clients who might be carrying more weight or their ligaments have damage, there’s a little bit more of a concern, they could be using Nordic poles or urban poles for walking, because that helps offset the weight on the knee joints but still allowing as much optimal loading through the pounding that occurs with each step. As therapists, we’re always challenged to find the best bone loading with the most joint preserving activity possible. As a therapist, if you are having to brush up on your knee anatomy, I would recommend a course that’s just come up through MedBridge. It’s something you might want to consider. But certainly when you’re interviewing your clients and you’re looking at the pathology of a particular joint, I encourage you to think past the joint and look at, what is the bone health and the skeletal health going to be like in six months, a year, two years based on your recommendations? Because your recommendations might be really solid for right now, but just encourage them to be thinking about that transitioning back to more loading. So that’s all for MelioGuide today. Thanks for tuning in.